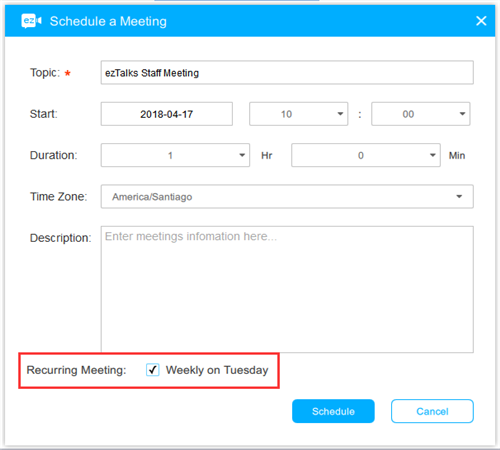 This article is about how to schedule a recurring meeting on the Windows and Mac apps. This feature is also available on iOS and Android app. 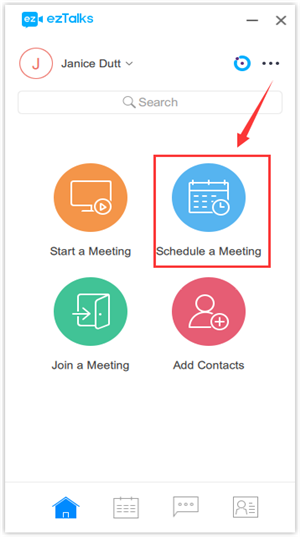 This feature is useful when you have a regular meeting based on the same circle. 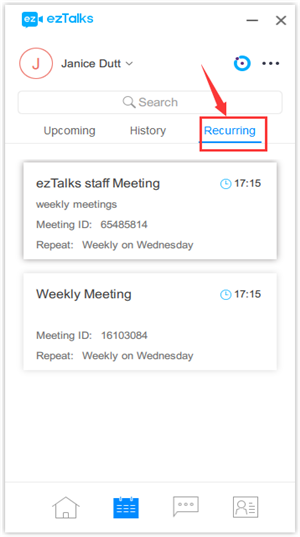 Step 1 Sign in the ezTalks app on your computer and click on Schedule a meeting. 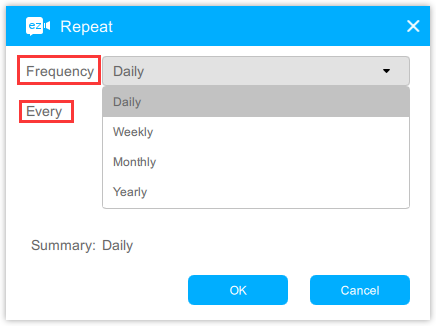 Step 4 Then go back to the Schedule a Meeting page and check the recurring summary. 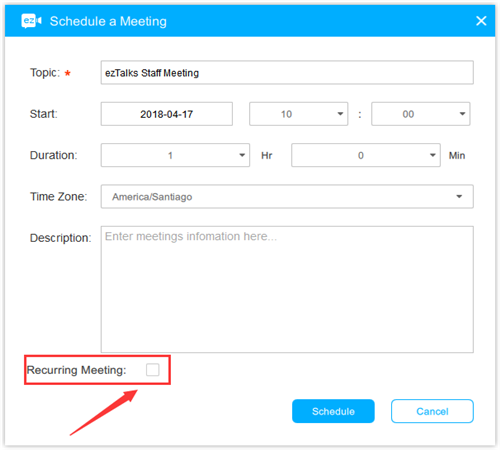 Note: if you do not schedule a recurring meeting, but you want to restart a meeting with the same meeting ID, please click here to check how to restart a meeting.